This grinder operated as advertised right out of the box with very little waste in dialing it in for espresso on my Rancilio Silvia. Micro adjustment was required and it stays where you set it. This new version is not loud at all but took 8 seconds to grind a 15 gram double. Another myth busted is the light weight. It was much heavier than my last grinder (Breville), I like the weight. One positive point not seen in reviews is that it is not a fingerprint magnet. Another subtle point is that the manufacturers logo is small and classy on the front and on top is another larger one which is simply cut into the case and is uncolored. 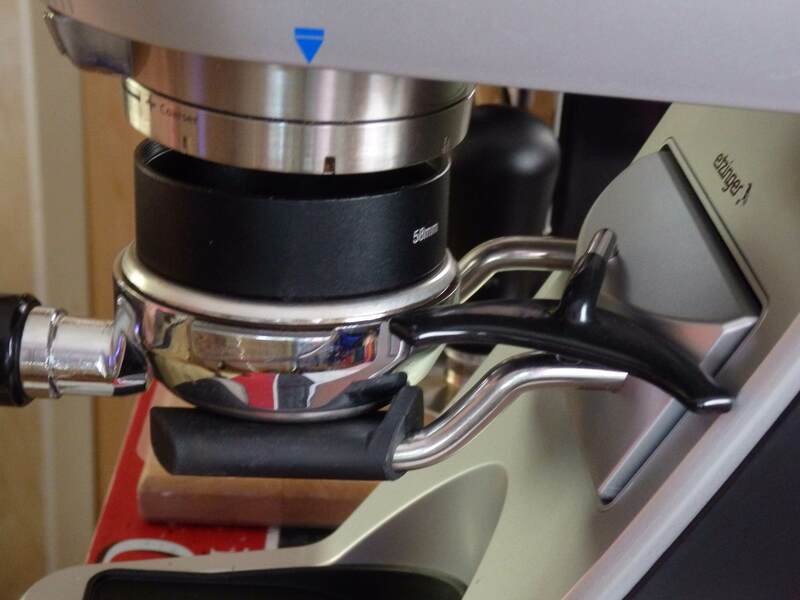 The upper portafilter arm folds back making room for a portafilter ring/funnel. I got this one from China for $2 US. It is actually a 58mm camera filter adapter (aluminum). The portafilter is bottomless with a straight sided, triple, filter basket. 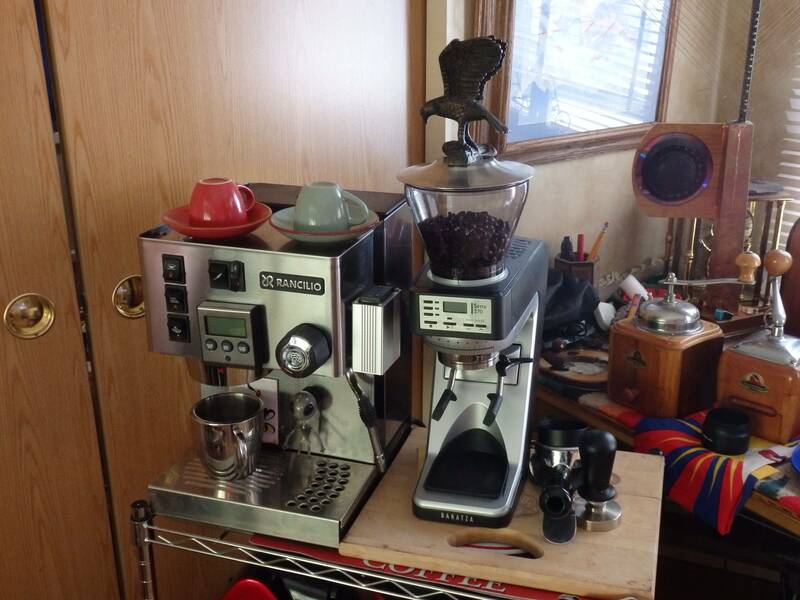 The Iron Eagle lid adds a vintage Italian appearance and weight without making the grinder too tipsy. I made this prop from a refrigerator magnet and foam board, works great. "Espresso is a miracle of chemistry in a cup." I've been considering one because of the smaller counter footprint. It is smallish. 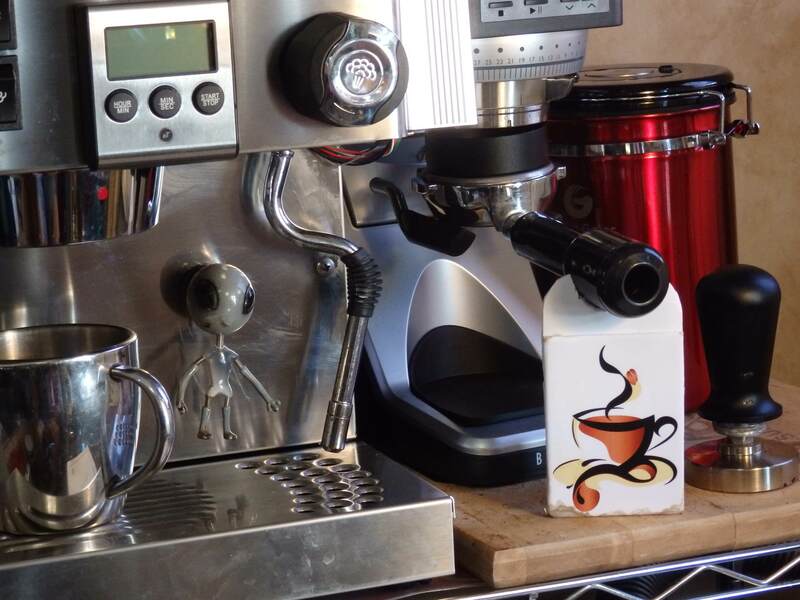 I have to admit it is going to be a bit underwhelming to look at in a photo next to a $3k espresso machine but it is all business so worth a few snide remarks regarding grinder shrinkage etc..